Vineyard UK's last two albums, HUNGRY, FALLING ON MY KNEES and SURRENDER, were enormously successful. Recorded live at the UK conference, this CD presents an awesome P&W experience. 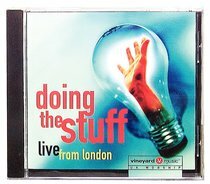 About "Doing the Stuff: Live From London"